Did I create this method? Oh no, my friends. I can only dream, for I am not a planner and there's only a few places where my brain works in an organized fashion: production layout and maybe my closet. All that being said, where does the plan come from? Well, follow along with me today for a few minutes as I briefly share Lara Casey's Power Sheets! 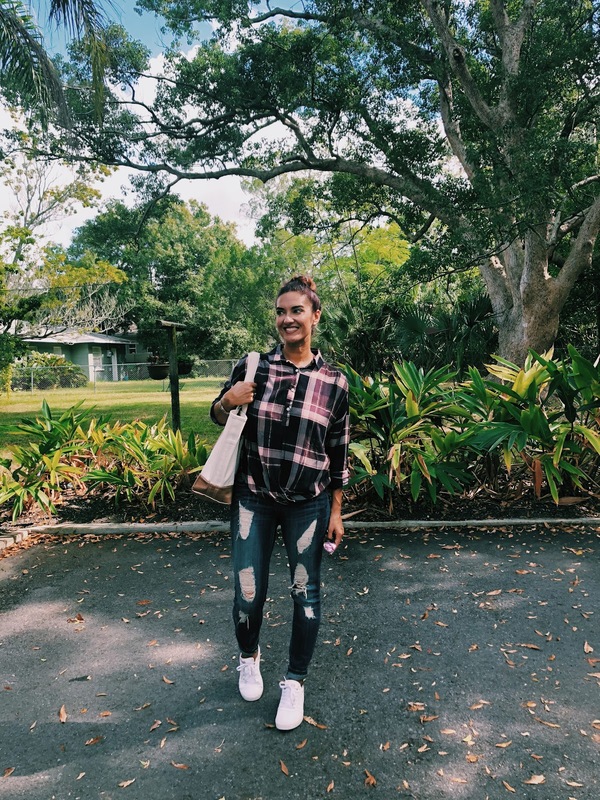 Last week I was inspired by the lovely Blended Blog ladies' to dig out the unpacked fall/winter clothes in search of my purple plaid top. When I received this top as a Christmas gift last year, I didn't hesitate to style it, but I have to say that this outfit is my favorite. There's something bout the white sneaks that I just love with the purple. Of course if your in the northern regions experiencing snow, this won't work now but perhaps in the spring. See how I styled this top last winter HERE and HERE. Anyway, I shopped my closet entirely for this look, as I've been on a shopping hiatus here recently. Though I succumbed to a fall grab bag "surprise" purchase for $38 with Five Girl's Fashion. Can't wait to see what they send and share it with you because I love surprises!!! Ok, this is not your typical planner. This is a goal planner, intended to help you dig deep and focus on what truly matters in YOUR life. What SHOULD be your priorities, goals, etc? As the years pass, it seems that more responsibilities are added, as well as more distractions. Dreams come and go; dreams fizzle out, re-ignite like spark on a flame or become extinguished by tragedy, pain or any kind of hopelessness. Now there are times when there's a need to temporarily lay a dream or goal aside for a greater purpose. And that's okay! It's dangerous to ardently seek a dream at the high cost to those depending on you or walking alongside you in life. For example, in full disclosure, if not for other responsibilities I would create content, write, plunk around on the guitar, exercise, read books, etc all day long! I'm so easily distracted by things that I enjoy doing, that I miss great opportunities to "cultivate" what's most important for now. Looking back, there are times when I said "yes" to things when I should have said "no"! The lines between what actually "matters" and what I feel obligated to do are not easily distinguished. My vision is cloudy at best when I'm living day to day without a guided plan, inspired by TRUTH. On the other hand, if I don't tend to those gifts and talents I was created to use, then the colors in my world grow dim and I feel as if I'm singing a flat melody. SO, what's a girl to do? How do I manage all of this, especially considering I'm inept at planning? My brain struggles to function like that. Nevertheless, if I want to leave a legacy that matters, get to the hearts of my boys while they are still boys, and make an impact on the world around me, then I NEED to set goals on what supports those desires. This is not a "to do list". It's a "clear, meaningful path to live with intentionality! 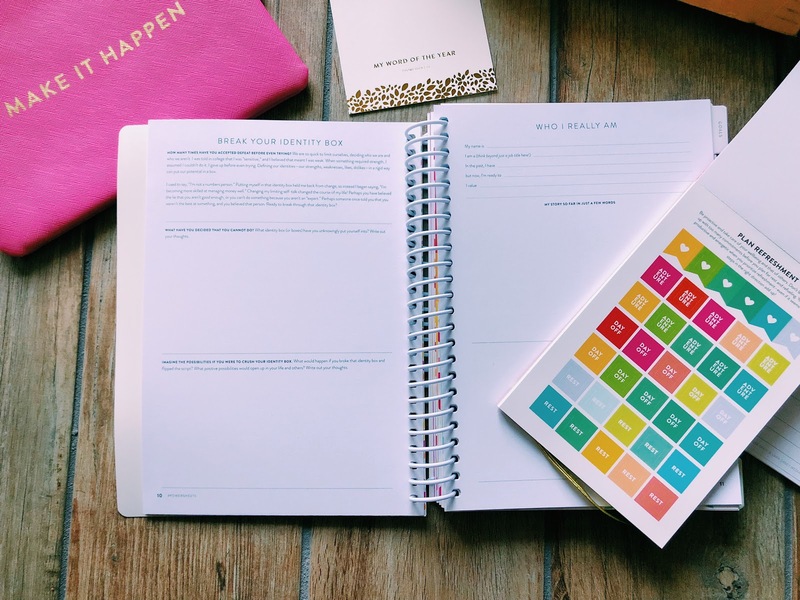 The first section of Power Sheets is referred to as the "Prep" section to help you discover goals unique to you and help you discover what matters to you! Then comes the section for "Intentional Action Plans", where Lara walks you through creating a SIMPLE method plan to work out those goals. Finally, comes the "Monthly Tending Pages" where you begin to put those goals into practice. This section is designed to take about 20 minutes to work out each month. After completed, it's designed to help you stay on task. Lara explains these concepts and workings in a video on Facebook HERE, if you'd like more information. I purchased the bundle pack that comes with the Power Sheets, Goal Setting stickers, Tending Tape, a cute pouch for your fancy pens, etc that slips onto your power sheets, and motivational cards. Of course each item is sold separately, but I wanted to dive in and save a few dollars while I was at it. *ALSO! 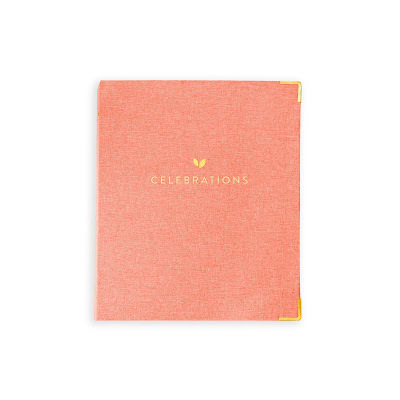 Releasing on tomorrow (Tuesday, November 20th) at 10 am EST, is their NEW product - the Celebrations Binder. Ya'll, I want it ALL! The celebrations binder is designed to help you plan and keep track of birthdays, anniversaries, or any thing that you want to celebrate. It seems unnecessary to have a separate binder for this, but I can't tell you the amount of times I've thought way ahead to do something thoughtful for someone and never got around to doing it. OR the amount of times a birthday snuck up on me and I find myself scrambling to put a plan in place. Bonus: It's beautiful!! 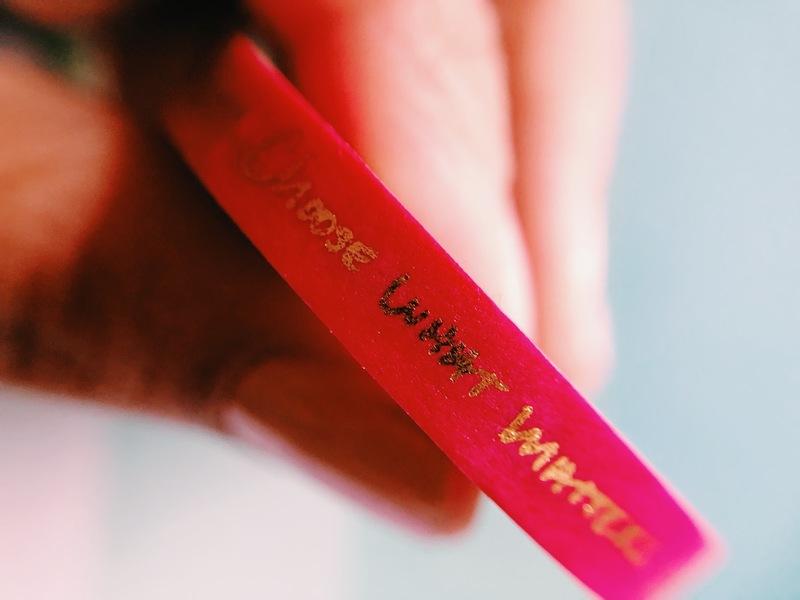 Stationary lovers feel all giddy over the gold foil and gorgeous colors while organizational lovers do backflips over the practical, but ingenious way of keeping track of life. There's so much more available at the SHOP from beautiful journals, greeting cards, books written by Lara. It makes me happy just browsing the site and I may add the celebrations binder to my power sheets because they compliment each other. The Black Friday sale has already started, so it's the perfect time to jump in!! 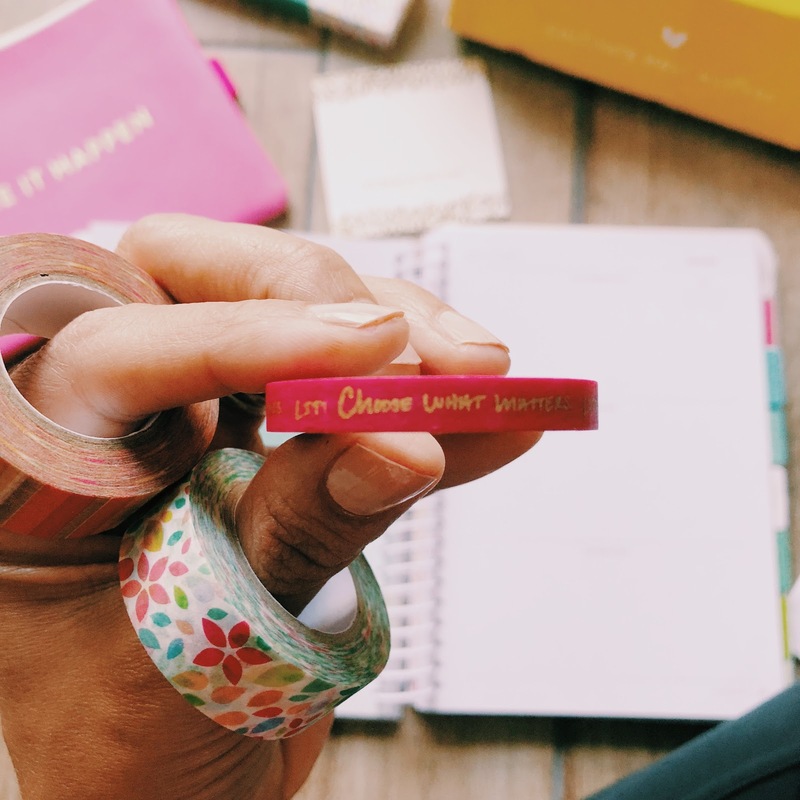 Quick Side Note (Thankful for the reminder from friend and fellow blogger Shelly at Queen In Between): I do believe that oftentimes my struggle is not so much in laying out a plan, but actually referring back to said plan, and sticking with it! I'm hoping that by focusing on out what's important and checking in with Cultivate for a little accountability, this time may be different! The bottom line is this: I wanted to make some big changes and I wasn't sure how or where to start. On December 3rd, Lara is going to walk us through the opening "prep" section and I cannot wait. In fact, I may have filled in the first page with pencil and I was blown away by all the areas that I want to work on! What about you my friends? What planner do you use? How do you go about setting your goals? If you're anything like me, you gave up on goal setting years ago. Well, it's time to start a new chapter and "cultivate" what matters most! Every year I switch to a new planner....and by not you think I would have figured out it's not the planner that is the problem. :) I love writing things down...but then I fail to open the planner as often as I should. I dream too big sometimes and lack the skills to break those big dreams into doable projects. Listened to a podcast recently which outlined some really practical tips and I put them into play at my office last week with some positive results. Have not decided for sure what planner I will go with in 2019. Eek so much to be excited about. I am just over the moon for your planner package, your pretty plaid and that you’re having a pool day with another babe of ours! Loves you! Wow, what a cool system! I cannot wait to hear how you like it. That purple plaid top is such a winner on you. I love the twist in the front so it gives you the look of being tucked without actually tucking. Great look! 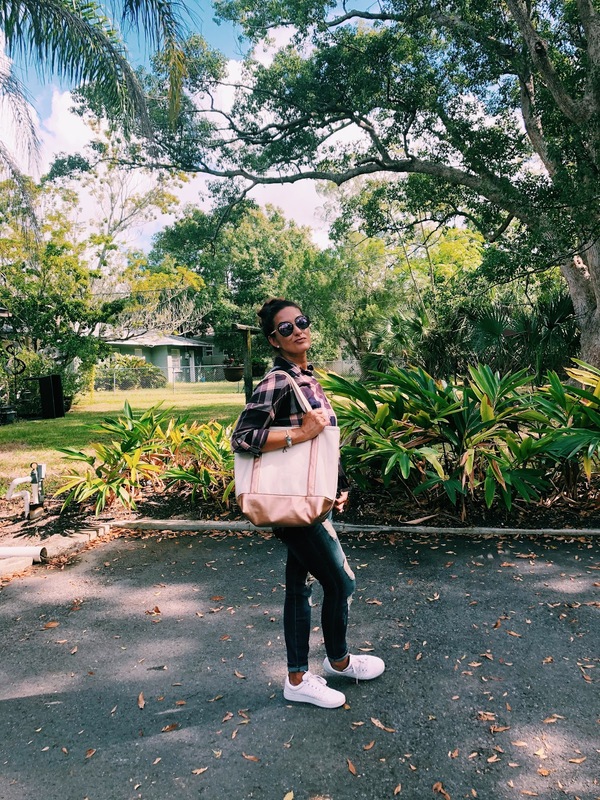 Loving that lands End bag! The shiny on it makes it so dang cute!!!! That planner package is super cool. 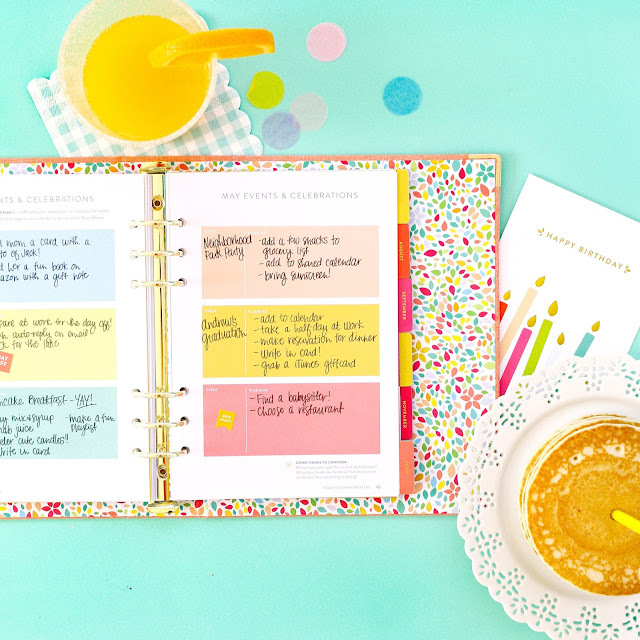 I'm all about ANYTHING planner related! I still need to break out my Erin Condren that came in a few weeks ago! I stand corrected. I thought this was a blouse from Old Navy, but I still love it and think it looks so good on you. I think the lavendar palette is in your color wheel, Sister. Enjoy your new calendar/planner! A new year will be here very soon! I guess I need to check out Old Navy then because this top is so cute! And thank you very much sweet friend! I love paper planners. I just don't think I use mine to its fullest and I am working on that. 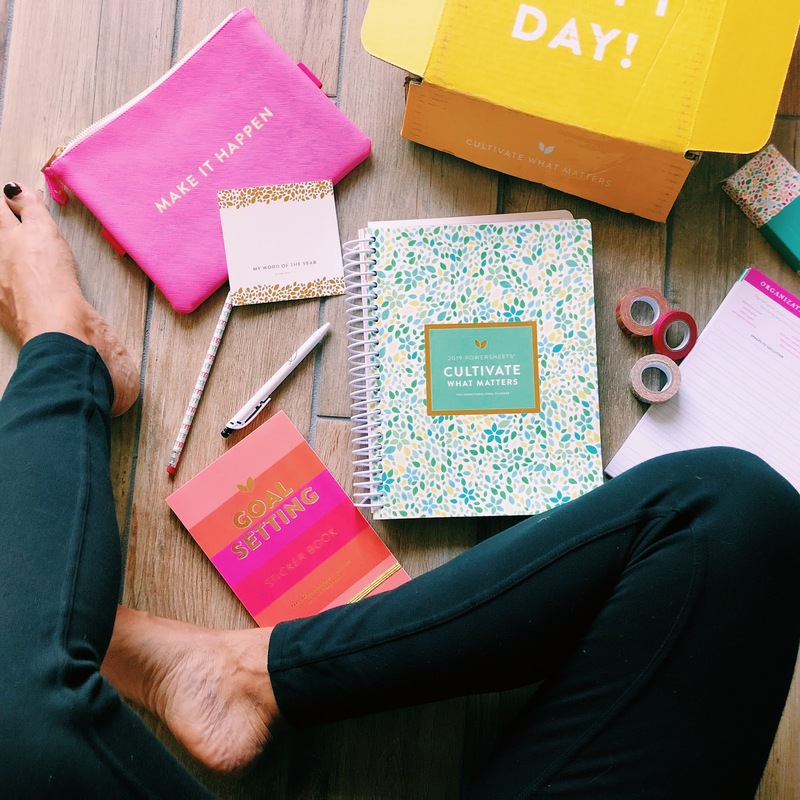 I know there are so many great things that you can do with planners to improve your life! Love that cute outfit too! I know. I love how pretty they are. I love turning the pages and thinking of possibilities...and that's where I'd stop. Here's hoping that things will be different with a goal planner! Ooh, this planner looks like something I realllllly would like! I am off to check it out!! I love this pretty purple top, so gorg on you! I love planners. I think it's the concept. I try and use them and by the time I get to April I stop. I like to plan things but I also am learning to just kinda go with the flow. 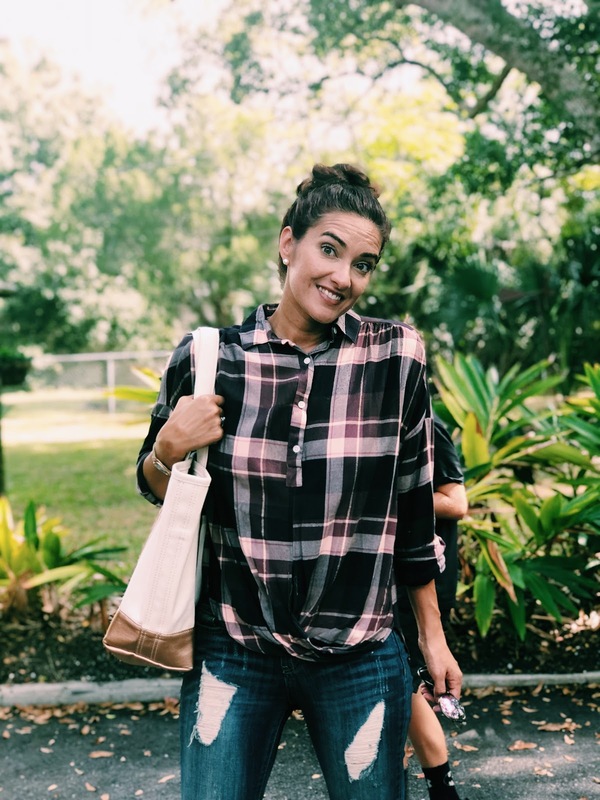 The plaid top is gorgeous! I know. I was lucky to make it to March. lol. Anyway, here's hoping that a goal planner will be a difference maker! I love love love the Powersheets and love the teal you chose! I got pink since it matches my 2019 Dapper Desk. 2018 was my first year using Powersheets but I'm hooked on them, on how they make me face my self-limiting beliefs, let go of my fears and work to get things done towards my most meaningful goals. Thank you for sharing this! 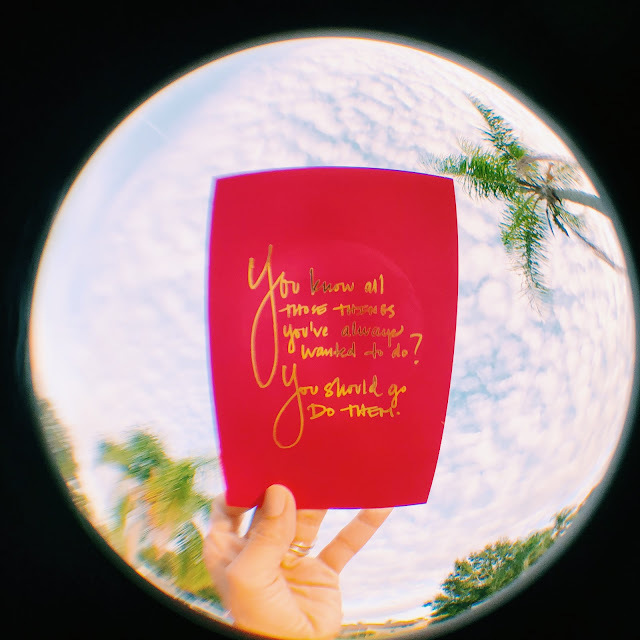 I didn't realize until this week (prep week) about how self-limiting I am. So much negative talk going on around here! Looking forward to getting to know you and many other powersheet users! I always have such great intentions with planners, but I never follow through with using them. Maybe this year! Love your look, your top is so pretty! Girl! I know! Here's hoping that the goal planner will keep me motivated. I'll be sure to update on how it goes! Love this system, very neat. I am a planner, and I journal, so I do like writing down goals, to dos etc. 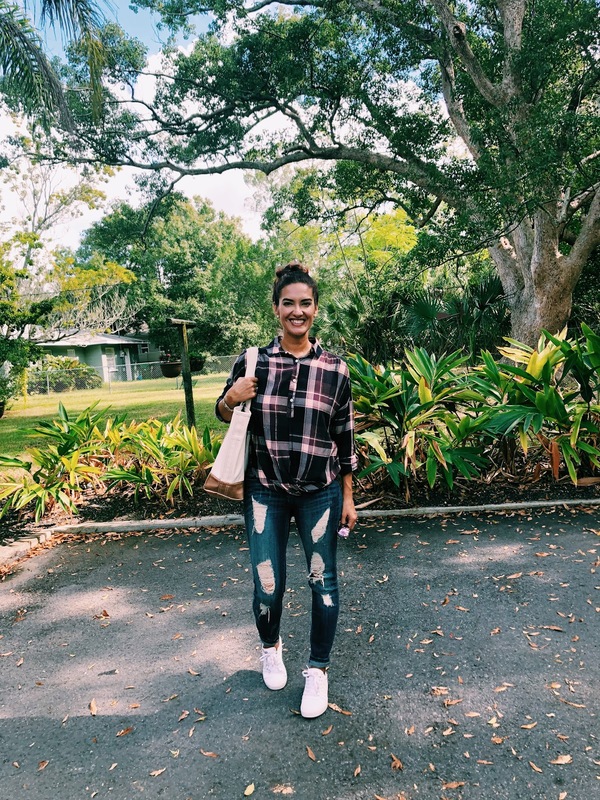 Love this outfit, the plaid is so pretty on you and I love those white sneakers! This is my kinda of plaid top- i love the colors. Love that planner. 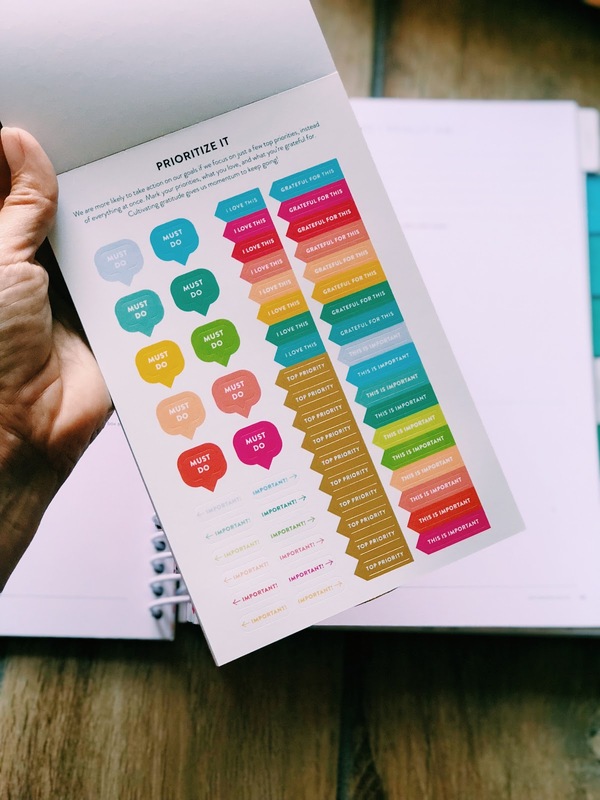 I've never used goals planner, but I really like the idea... and I find that using something like this with all the embellishments makes the whole process feel more fun. Have a great weekend. That plaid shirt looks lovely - really nice colours on you and great with the jeans! Maybe I should look into that planner! 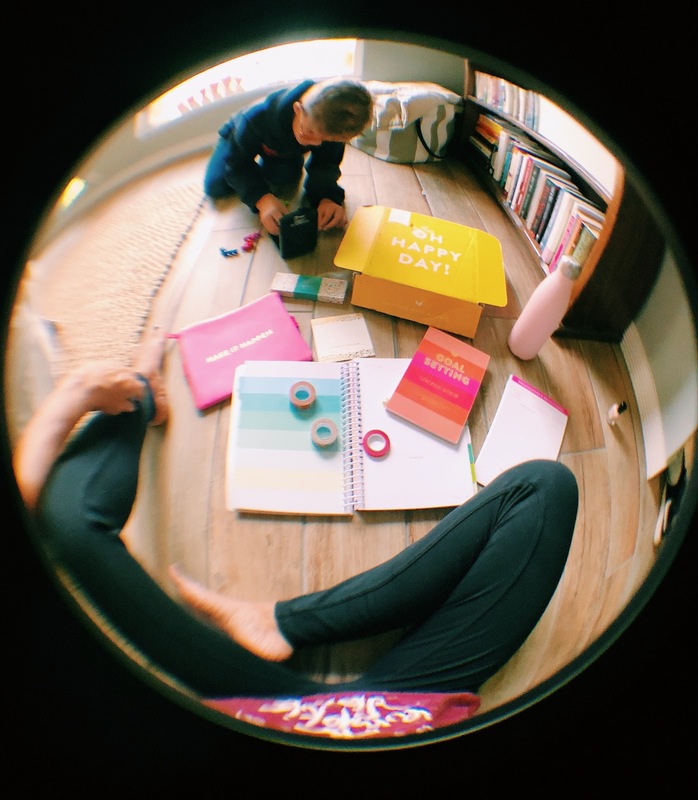 I'm good at having ideas but often feel disorganised and know I could use my time better! Love your purple plaid! I just ordered my new Erin Condren planner on Black Friday. I'm like you, I need to remember to stick to the plan...LOL and I also need to remember to look at the darn thing. Yours looks really cool. Looking at the planner is my biggest battle after the first month , when all motivation dies. lol. We shall see if the goal planner makes a difference...time will tell. Oh Chrissy, I am in the same boat with you with my lack of planning abilities! I have some pretty hefty goals but they exist only as a jumbled up mess of chaos in my brain! Unable to formulate clear tasks to stay on track, I am more like a child easily distracted by the trees and the twigs and the acorns lying in the path! I appreciate it all, but my focus is dim. I need to follow suit and get organized! Great post, my friend. And that purple plaid is so pretty! Yes, girl, yes! That's why I'm excited about sifting through the mess and find what's truly important, right here and right now. Time flies and I don't want to squander the time I have! I'll tell you something, I'm grateful for this blogging community that I stumbled into. You're a gem!